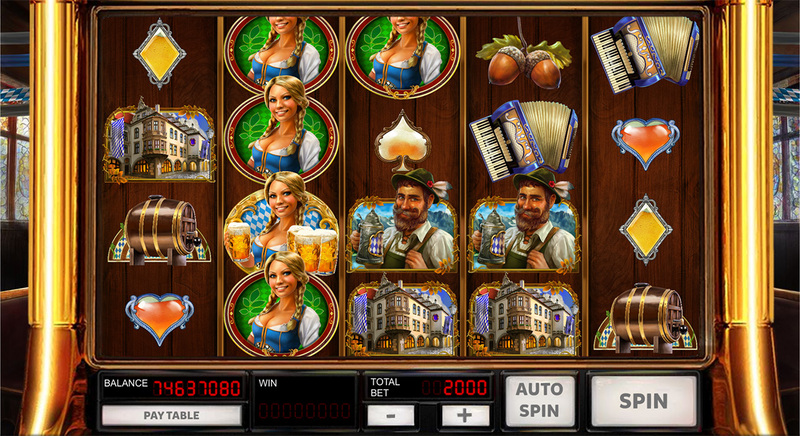 Enjoy partying, beers, lots of entertainment and big prizes at our German tavern! 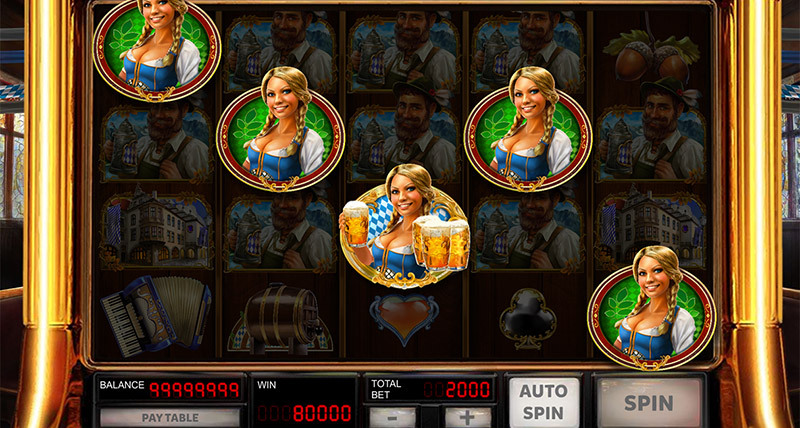 Heidi will be your host in this 5x4 reel slot machine - she will bring you beers…and luck! 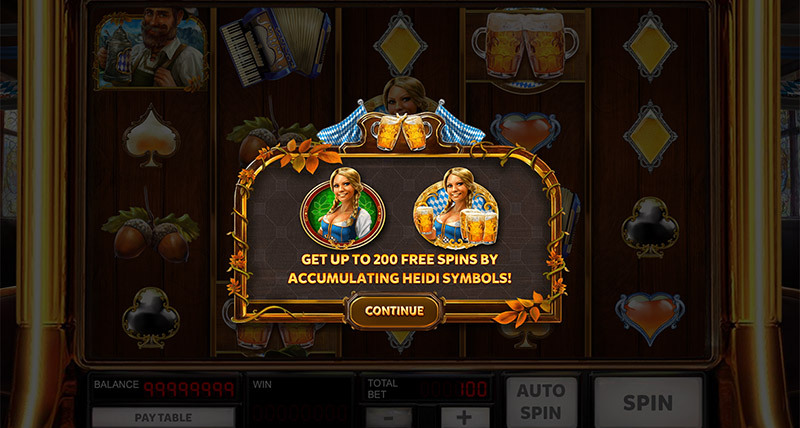 The more symbols Heidi gets, the more free spins you will receive. 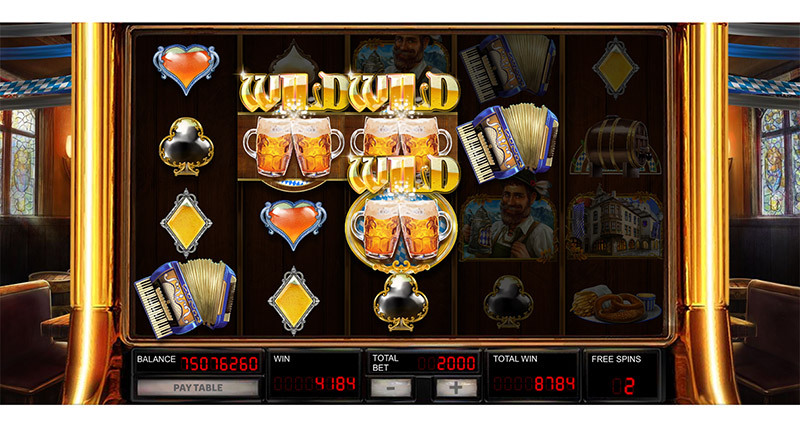 'Normal Heidi' symbols and 'Beer Fixed Wilds' during the 'Free Spins Bonus Feature'. Spain, Sweden. In progress: UK, Italy, Portugal, Malta. 5 or more Heidi symbols in any position on adjacent reels, beginning with the reel furthest on the left, launches the 'Free Spins Bonus Feature'. 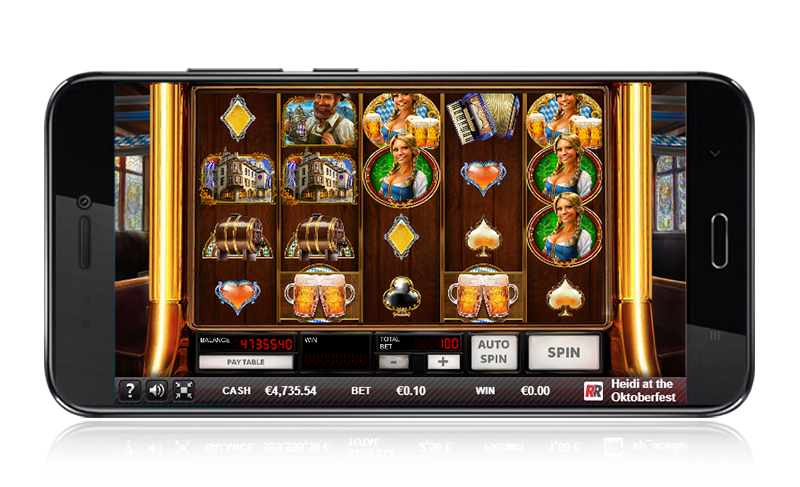 5 Heidi symbols provides 5 free spins. 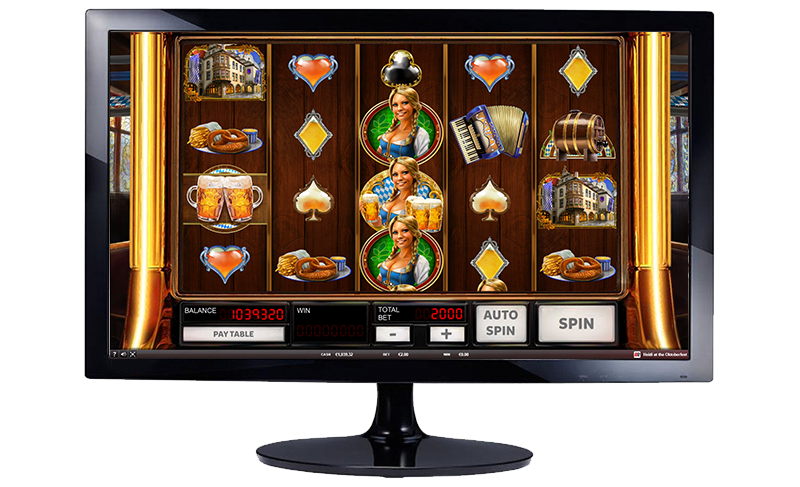 For every additional appearance of Heidi to the 5 initial ones, an extra 5 free spins are added, up to a maximum of 80 initial spins. 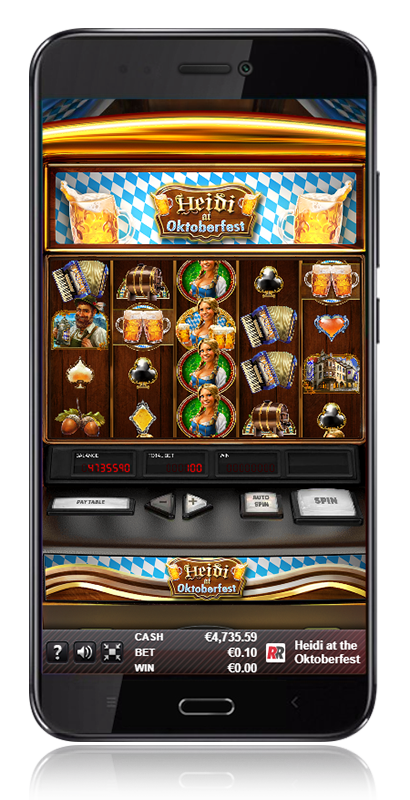 Each Heidi symbol that is in the combination that launches the 'Free Spins Bonus Feature' is replaced with the 'Wild Beer Symbol' and remains locked in that position on the reel during the entire 'Free Spins Bonus Feature'.